2016 is a big year for PHP programming world. After many iterations, the PHP 7 was released in 2015. It takes a certain time to adapt to new versions for the industry and develop an application on top of that. The web hosting control panel software provider cPanel has started rolling out PHP 7 through their Easyapache script. However, PHP 7.0 is only available through EasyApache 4. As a cPanel web hosting company, we are excited to use PHP 7 in our infrastructure and share some of the important features. We are excited to use PHP 7 in our infrastructure and share some of the important features. Your application runs twice as fast on PHP 7 compared to version 5.6. 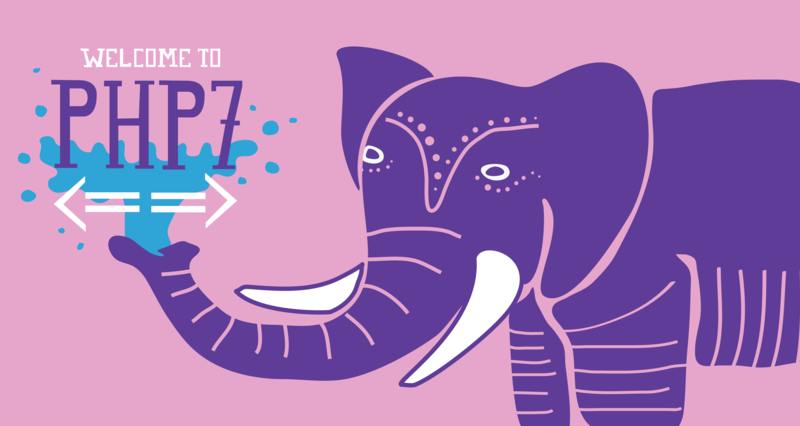 PHP 7 is based on the PHPNG project ( PHP Next-Gen), that was led by Zend to speed up PHP applications. For detailed performance benchmarks, have a look at Rasmus Lerdorf’s presentation at PHP Australia. Overall, you could expect a 100% improvement on WordPress Hosting sites performance. Please note that if you are using legacy PHP applications the new PHP 7 can potentially break the code. Happy PHP 7 coding and hosting!